In both her life and her works, Colette defied stereotypes about womanhood. She was regarded by many in 1920s France as the country’s finest woman writer, and admired for her humanity and the perfect conversational pitch of her characters. At the same time, though, she was the object of intense criticism and scorn. In her youth, Colette once performed at the Moulin Rouge in a dance that culminated in an onstage kiss of another woman. The police soon arrived on the scene. During World War I, Colette turned her husband's large estate into a hospital for the wounded. After the war, her writing was full of amorous struggle and tales of feminine survival, usually with a focus on the life of courtesans. Her most famous novella, Gigi, was made into a Broadway play and movie. 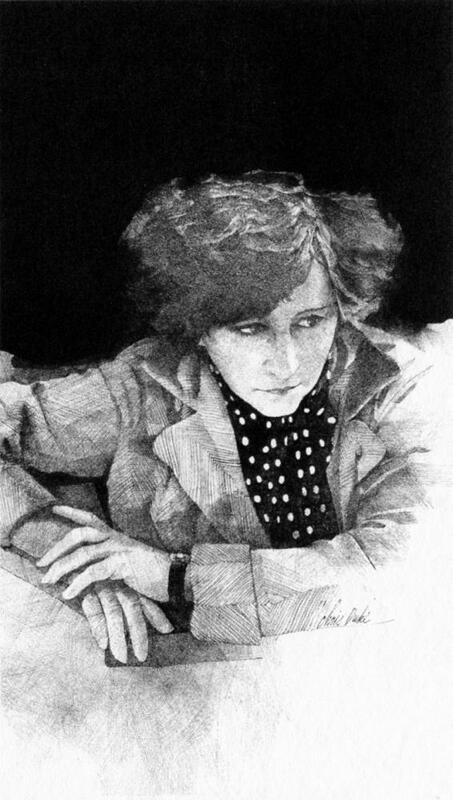 I loved drawing Colette, and this piece will always be a favorite illustration. I only wish I had redrawn her hands more elegantly. She deserves such and it would have been simple. Unfortunately, once art is printed, it is done.